Tickmill is authorised and regulated as a Securities Dealer by the Financial Services Authority (FSA) of Seychelles with a licence number SD008. Tickmill is a transparent and open company. Accounting, internal procedures and systems are audited by third party auditors and the FSA. Funds are held with Barclays Bank, MCB Bank and other major banks. Funds are held with Barclays Bank and other major banks. Tickmill is the new way of trading with extremely low market spreads, no-requotes, STP and DMA, absolute transparency and the latest trading technology. Tickmill has direct ECN and exchange liquidity among others. The company is highly rated among scalpers and traders using Expert Advisors and algorithmic trading systems. Looking for a new broker after Swiss Franc Shock? To help you kick-start again, we offer 15% on top of your first deposit! Campaign is available only to new Tickmill clients who registered between 11.02.15 to 31.03.15. 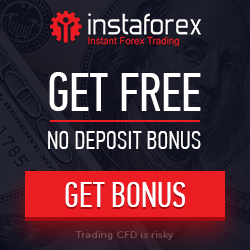 Client may only claim 15% bonus on the first deposit, which is at least €$£ 100 and not covered by any other campaign or bonus. Maximum bonus amount is €$£ 5 000. In order to claim the bonus, please send an email to support@tickmill.com with the code phrase “Welcome to Tickmill” after the deposit. Trade at least 1 lot for each €$£ 5 to withdraw the bonus. 2. Contact Tickmill to have the funds transferred from your old account to the new one. I have a ECN account with them. The execution is fast and the spread is very good, Never had an issue with trading , like delayed order, freezing chart , or any other problems that usually happen with another brokers, if you are a news trader, you need to adjust your stoploss with their widening spreads. depositing money in any brokers are always smooth ,however Tickmill withdrawing process is fast. A good forex broker with good attitude so far.